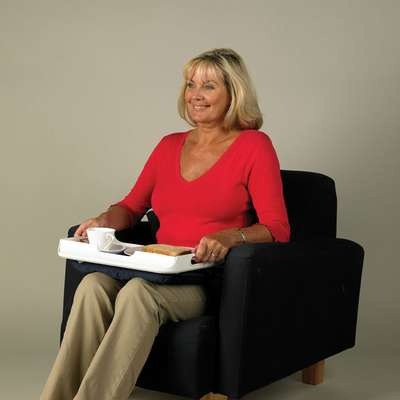 This lap tray provides a level, steady worktop for reading, writing or eating a meal. It has a detachable, washable bean bag that moulds itself to the contours of the knees to provide a very stable surface. It is supplied with a non-slip mat to prevent items from sliding on the tray. The fabric pattern may vary from tray to tray.